A Member of the US Congress, Henry Johnson Jr. wants the American government to place a travel ban on Ghanaian legislator, Kennedy Agyapong, for his possible role in the murder of undercover investigator, Ahmed Hussein-Suale. The Congressman in a letter to the Secretary of State, Mike Pompeo, also recommends a ban on access to the U.S. banking system by Mr. Agyapong, his businesses, and any other appropriate and applicable sanctions. Ahmed Husein-Suale, who is a teammate of the award-winning investigative journalist, Anas Aremeyaw Anas, was shot dead at Madina in Accra on Wednesday night. Mr. Hussein-Suale and colleagues involved in the investigation of corruption in Ghana football in mid-2018 and the subsequent resignation of GFA President, Kwasi Nyantakyi, came under heavy personal attack from people against the work, including the governing New Patriotic Party’s (NPP) parliamentarian for Assin Central in the Central Region. 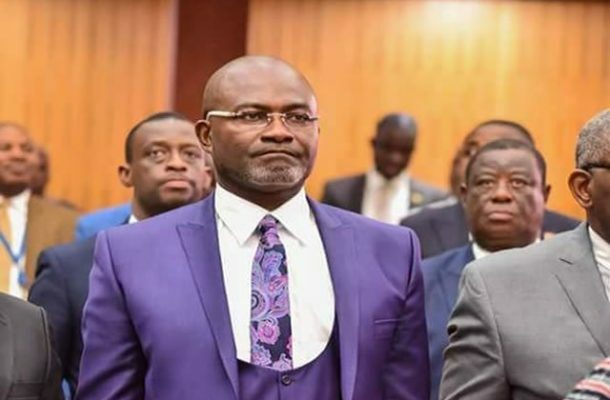 Mr Agyapong used his television station NET2 to encouraged violence against the investigator, offering to pay personally for such violence, disclosing Mr. Hussein-Suale’s whereabouts, and publishing photographs of him during a live broadcast. The US Congressman is, therefore, demanding “a prompt and thorough investigation” into the possible role Mr. Agyapong’s utterances might have played in the gruesome killing of Hussein-Suale. He further called for intelligence support for the Government of Ghana’s investigation of Mr. Hussein-Suale’s death, including potential Federal Bureau of Investigation support via the Office of the Legal Attache at the U.S. Embassy in Accra. ”We cannot allow the voices of truth to be muffled by those who would benefit from silence and deceit...” the letter added.